Eric continues to drink and digest his milk up like a champ and that is key to helping him get stronger. Below you can see nurse Kathy gavage feeding him. Gavage feeding is when the nurse lets the milk flow through the tube that leads to his stomach. Eric can not feel the feeding tube in his throat as you and I would because at this age the do not yet have a gag reflex so it is perfectly comfortable for him. 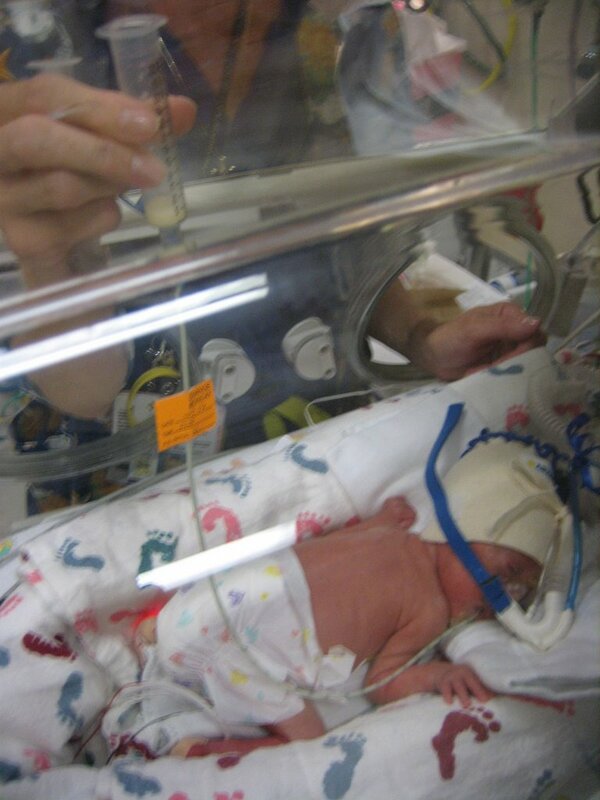 Remembering to breath is Eric’s biggest challenge right now and something all preemies need to grow into. 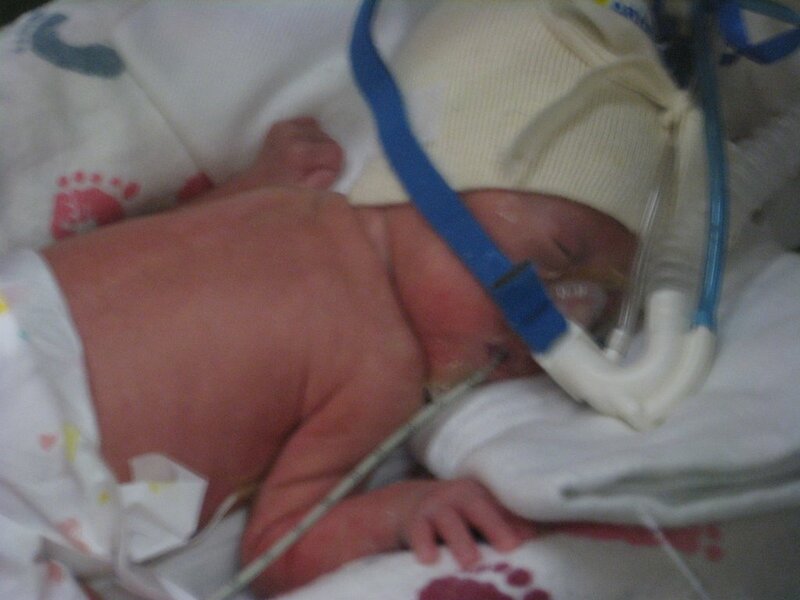 He is still getting oxygen throught CPAP, which gets delivered either with a tiny mask over his nose or these tiny little nasal prongs. The resipatory therapists alternate between the two to keep his skin healthy. When he needs more oxygen they can turn it up a bit but he needs to take a breath for the oxygen to get where it needs to go. We are definitely his cheer leading squad for this. Today Eric also gave me the pleasure of experiencing changing his diaper before he was done with his business. I now know what projectile poop is and know how to prevent it from getting all over his bed.